If your situation is any like mine it will be important for you to first choose a pediatrician or specialist that will not only be your doctors but your advocate and your friend. After all, even after the NICU your visits with specialists are not over. You will be in and out of out patient follow up visits and when you graduate with one specialist your may very well be faced with another. We were fortunate to have a great pediatrician since day one. Specialists come and go and eventually you get good at what will work and what will not for you and your child. 1. Patience and Creativity...my son was so easy going the first couple of years, doctors offices where just a way of life. As he started to recover we had more of a stretch in appointments. From every two weeks, to every month eventually every three months and then every six months. The further apart the appointments got the less cooperative he became. Anything from from a simple exam on him became torture. Blood work? Forget about it. You will require someone who will sit spend time with my chil and not just say "i can't examine him" and be done with the appointment. Trust me. Been there. Its not a good feeling. Schedule a "getting to know you" visit, just 10-15 minute of their time -- if the doctor doesn't agree then take this as a warning. 2. Experience...do your research, search online, ask other moms. 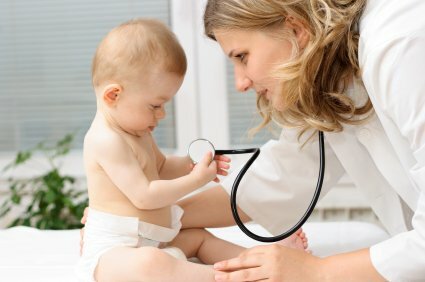 I found experience and knowledge of preemie in a doctor to be important. From Pulmonary to Neurology... I felt that they knew what to look for, what questions to ask and what tests needed to be done. We all know how preemies are not the "typical" child. In the end, there are flaws will be some flaw in any practice that you choose, mine for example is strickly 9:30-5 and closes from 1-2 everyday for lunch. They doesn't have special sick hours which makes me nuts but the staff and pediatrician make up for the areas where they lack. How to speak so your doctor will listen.